This weekend looks to feature warm sunny days and cool crisp nights that are so characteristic of Colorado this time of year. A cold front begins moving into the area on Friday with an associated disturbance bringing cool, windy conditions on Saturday. At this time it doesn’t appear that there’s a whole lot of moisture associated with this storm system so expect any snow showers to fall mainly in the mountains with the plains not seeing much of any rain or snow. 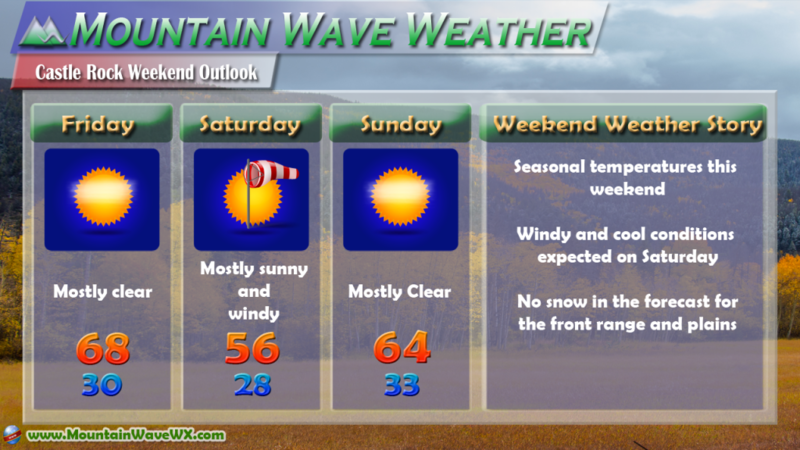 All in all, it should be a great weekend to get out and about, but keep an eye on that wind Saturday!